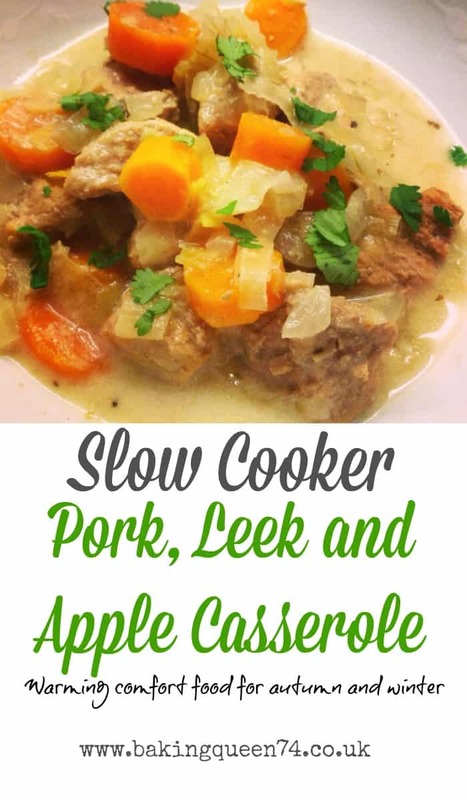 This slow cooker pork casserole with apple and leek is just perfect for the colder months and is ideal for children too as the meat becomes very tender. 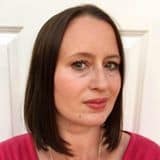 Now that we are back to school and after-school clubs have started back up, I am again relying on my slow cooker so we can come home after a busy afternoon to healthy, home-cooked meals which are steaming hot and ready to eat. It is great to be able to throw a few simple ingredients in and then forget about it until tea time. I love using a digital slow cooker which will cook for as long as I want then switch to the keep warm function. So convenient when you are busy out and about or at work. This slow cooker pork casserole was so simple to make but tasted great and was a hit with the whole family. This was a definite bonus in my book! The delicious light stock base allows the flavours of the leek, apple and carrot to come through. We serve this dish with rice and garlic bread for an easy midweek meal, it would also be great with mash and green vegetables. Slow cooked meat is so tender which makes it popular with my whole family. Pin this slow cooker pork casserole with apple and leek for later! I’m linking up with Farmersgirl Kitchen‘s Slow Cooker Challenge run by Janice, check it out for more delicious slow cooker recipes. 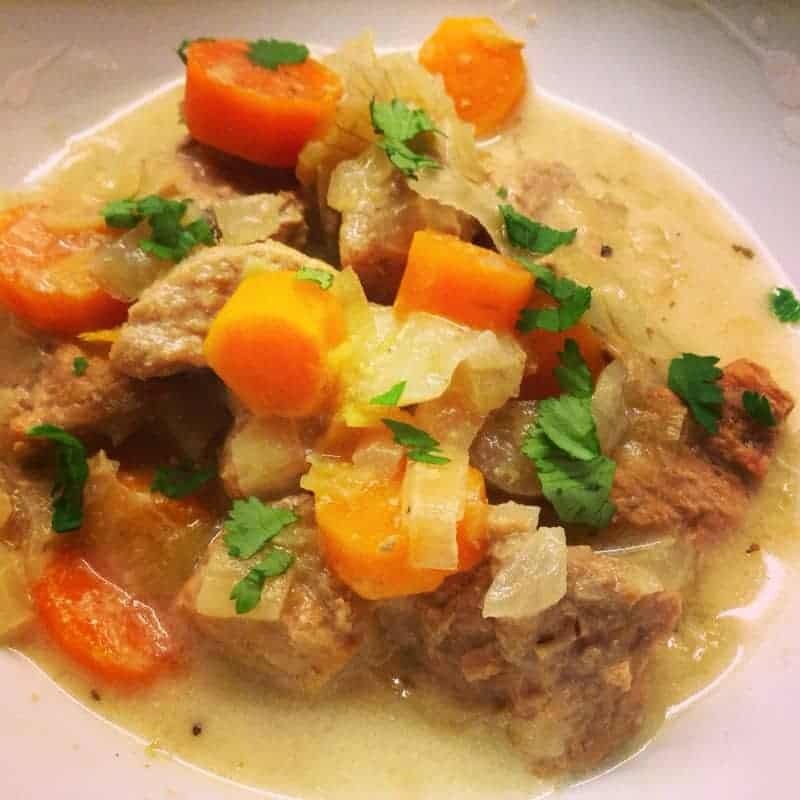 Place all the ingredients except the crème fraîche in the slow cooker and cook on low for 8 hours or on high for 4 hours. Add the crème fraîche just before serving and stir through. That looks really tasty, thanks for joining me for the Slow Cooker Challenge.